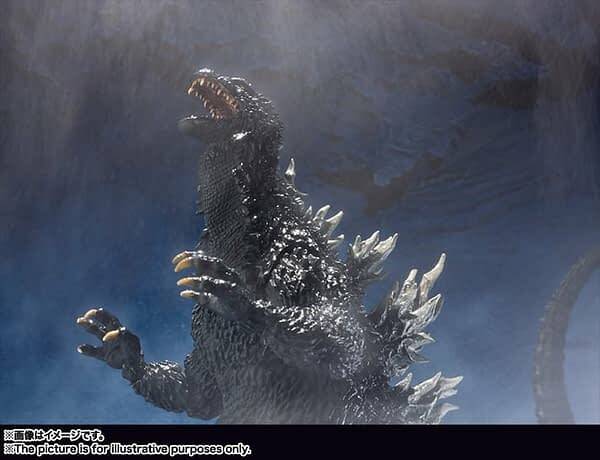 Godzilla is getting yet another S.H. 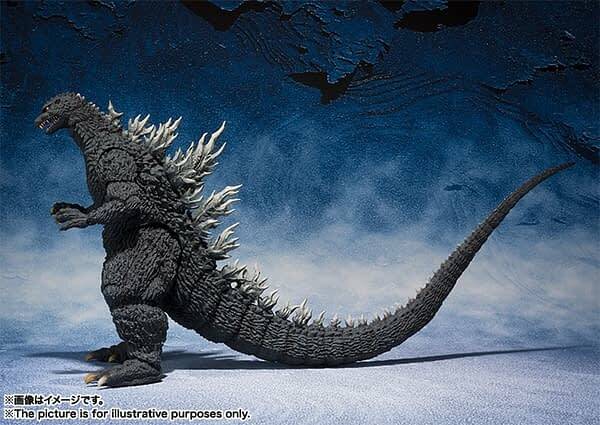 MonsterArts figure. 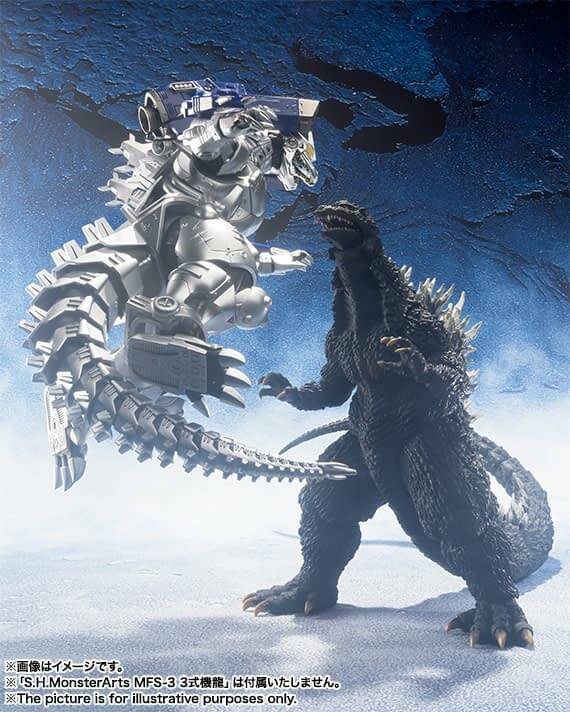 This one is from 2002 and focuses on the version of the monster from Godzilla Against MechaGodzilla film from the same year. That was a fun film in the series, and featured a cool version of everyone’s favorite kaiju. 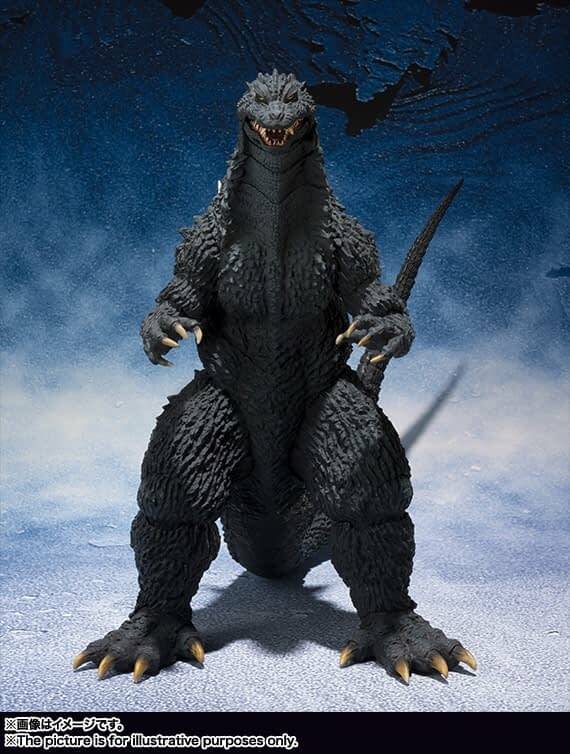 After the appearance of a new Gojira (Godzilla), the Japanese government builds a robotic Godzilla from the bones of the original monster that attacked TÃf’kyÃf’ in 1954 to stop the beast. 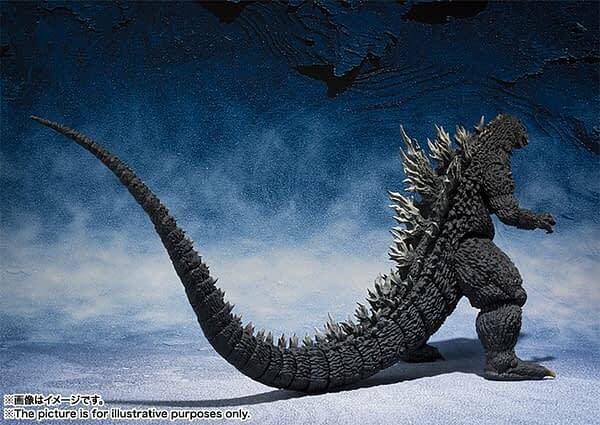 Commercialize Godzilla (2002) that appeared in “Godzilla × Mechagodzilla” from SHMonsterArts! ! Through the hands of Mr. Yuji Sakai, it is three-dimensionalized with overwhelming formative beauty. 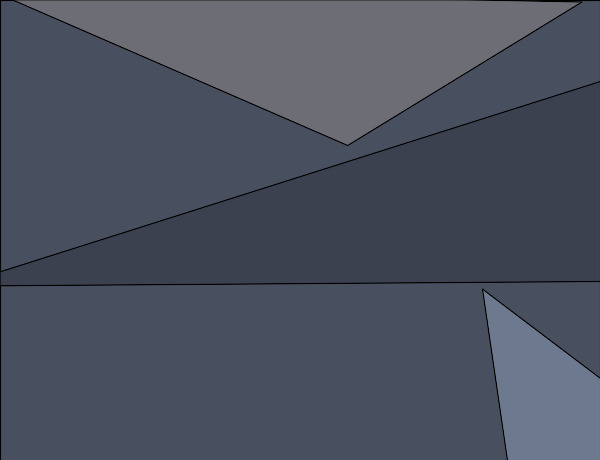 It also reproduces the characteristic neck shaping. 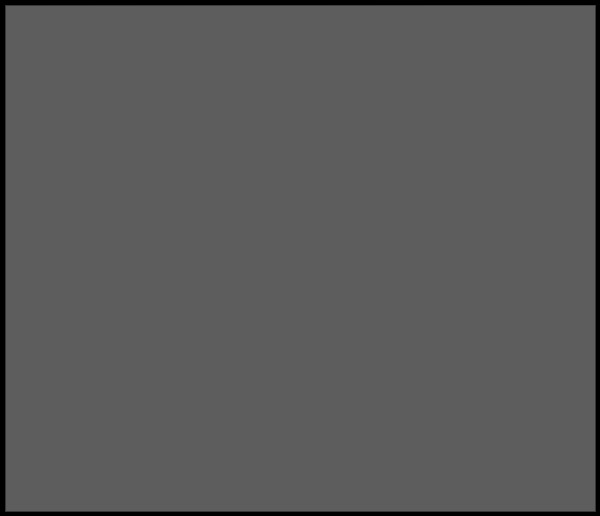 It is possible to raise the head by part division to reproduce the pose of the scene appearance at the beginning of the movie. 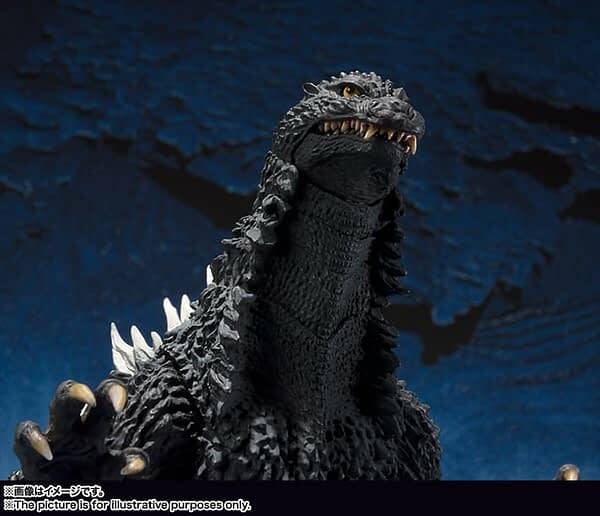 Various scenes can be reproduced by intertwining with “SHMonsterArts MFS – 3 3 type dragon” sold separately. Love that last pic that recreates the film’s poster. That is a nice touch there. This version has a more flat neck and small jawline to him. As with most of these releases, the main focal point is the tail, in all of its epic glory. I tried putting one of these on a display once and the tail was so long that it stuck out on the shelf and poked me in the eye when I walked by it. True story. There is nothing else included inside the package, but that is the norm here. 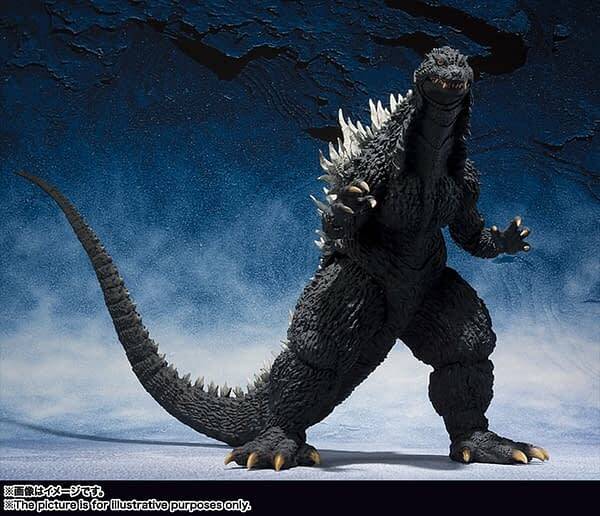 The Godzilla 2002 goes up for order tomorrow, November 28th. It will cost you 9,180 Yen, or $83. You can go here and check out more on this behemoth yourself. 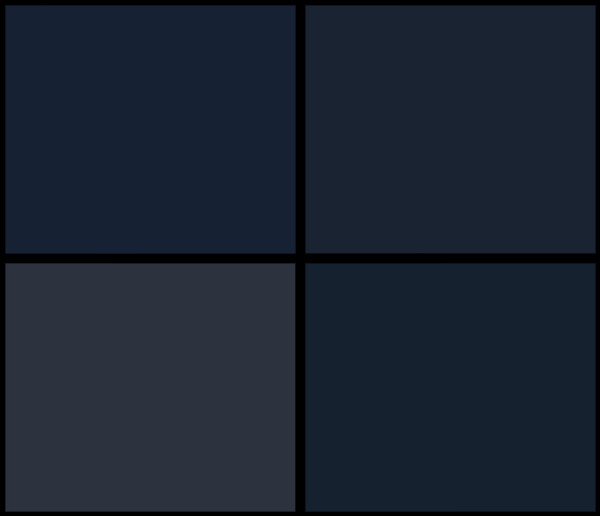 LEGO Ideas Announces That The Tron Legacy Light Cycle Is Approved!